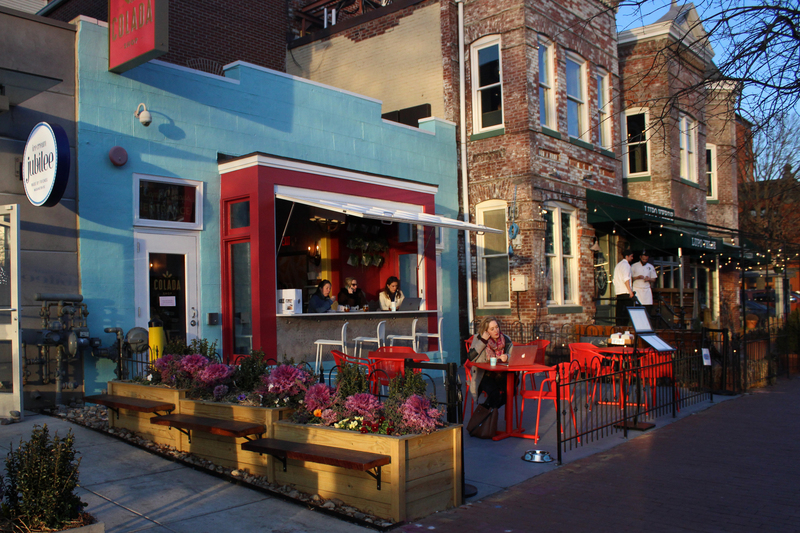 Internationally inspired coffee shops, tea houses around D.C. In a city like D.C. that brings people from many countries together, there are all kinds of cultural foods and drinks to try. Check out these cafes to feed your caffeine addiction and escape to a different country for an hour or so. Le Caprice DC is a small haven in Columbia Heights that serves traditional French cafe fare. They have everything a Francophile could desire, from classic croissants to fresh fruit tarts to savory sandwiches. The cream puff ($2.95) is made with rich and creamy pastry dough, which the french call “le pate a choux,” and is filled with whipped sweet cream. This pastry is light and airy, so it is a tasty snack that won’t fill you up. The cafe offers a traditional coffee menu, with favorites like lattes and cappuccinos, as well as 26 different types of tea. They also carry syrups imported from France used to flavor coffee beverages. Le Caprice DC keeps their latte ($3.50) classic, with rich coffee and lots of fluffy milk. Le Caprice DC has sunshine streaming in the windows with modern touches around the space. Sitting at this airy cafe while sipping your coffee will make you feel as if you’re relaxing at a Paris sidewalk cafe, if only for a little while. Colada Shop, which opened last month, is a Cuban coffee shop located just around the corner from U Street. The shop is a pop of cheery color in an otherwise gray city – with a bright pink and blue facade. The sweet cream cheese pastelito (1 for $2.25 and 3 for $5.50) isn’t something you could find in a Starbucks. This traditional Cuban treat combines flaky pastry dough and sweet and light cream cheese with a variety of fillings, from guava to meat pie. The café bon bon ($3.25) is the perfect drink to accompany a sweet or savory pastry. It is incredibly strong coffee with a hint of sweetness. The café bon bon is made with espresso and sweetened condensed milk, which is ideal for those who need a dose of caffeine but can’t quite handle strong black coffee. The friendly staff and relaxed atmosphere at Colada Shop will make you feel like you’re on island time. The atmosphere is even more authentic in the warmer months, when patrons can sit at an outdoor bar and the shop keeps its windows open. 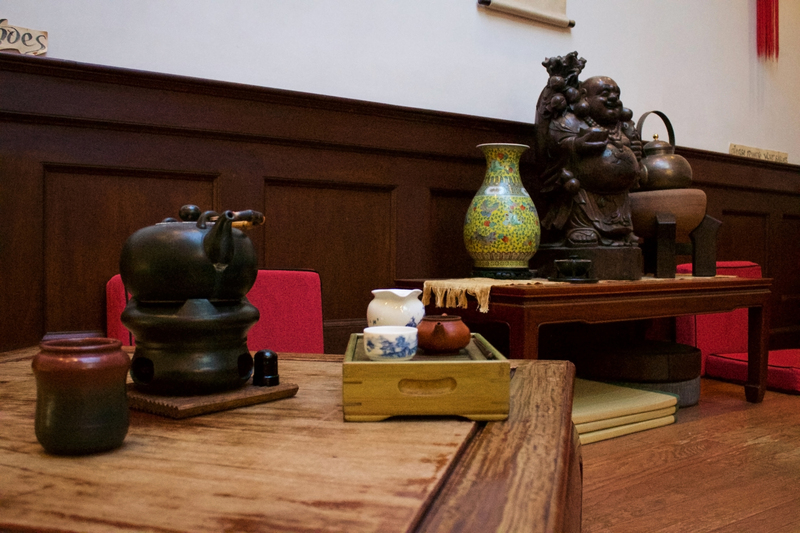 Ching Ching Cha, located in Georgetown, serves a variety of authentic Asian teas and treats. The owners at Ching Ching Cha spend a few months every year traveling to China, Taiwan and Japan to source the highest quality tea to serve to their customers, according to the shop’s website. The jasmine blossom tea ($7) is a type of artisanal tea that combines the flavors of flowery jasmine and sweet green teas. This tea is an interesting flavor combination because it’s simultaneously sweet and bitter. Unlike traditional tea that is served in the pot, jasmine blossom tea is served in a glass so you can see the flower blossom. The Lotus seed pastry ($7) is filled with a jelly-like paste made from lotus seeds that has a slight caramel taste, as well as flaky shredded coconut and salty peanuts. The entire tea house is filled with wooden furniture and traditional decorations, like colorful lanterns and Chinese calligraphy. As you enjoy your tea in the tranquil space, you can choose to relax on red floor cushions at a low table or at regular-sized tables and chairs. 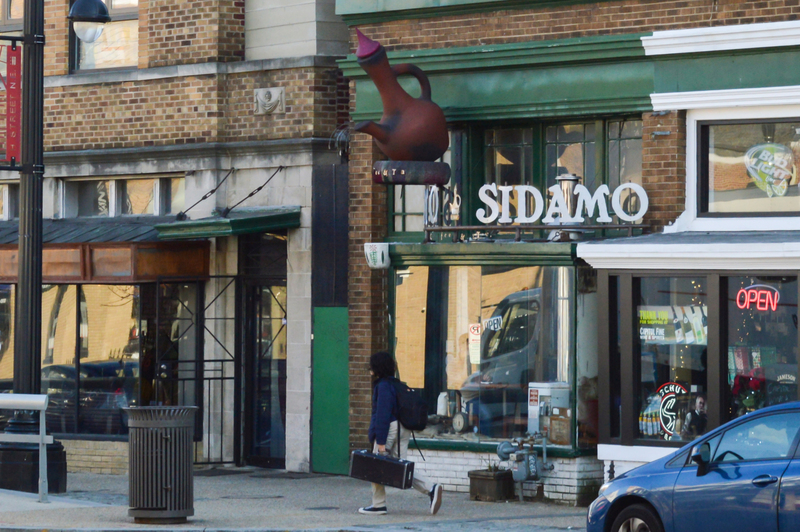 Sidamo Coffee and Tea, located on H Street, educates the District on making coffee – specifically Ethiopian coffee. Every Saturday at 2 p.m., the shop hosts a traditional Ethiopian coffee ceremony, complete with songs and burning incense. The Sidamo Macchiato ($3.50) is a combination of bitterness and milk and, because of the Ethiopian beans that are roasted in-house, it’s stronger than the sweet version you may be used to at Starbucks. The Iced Ja Mocha ($5.50) is perfect for anyone who is not a big coffee fan. This drink has a hint of coffee taste, but the chocolate mocha is more flavorful without being overwhelmingly sweet. 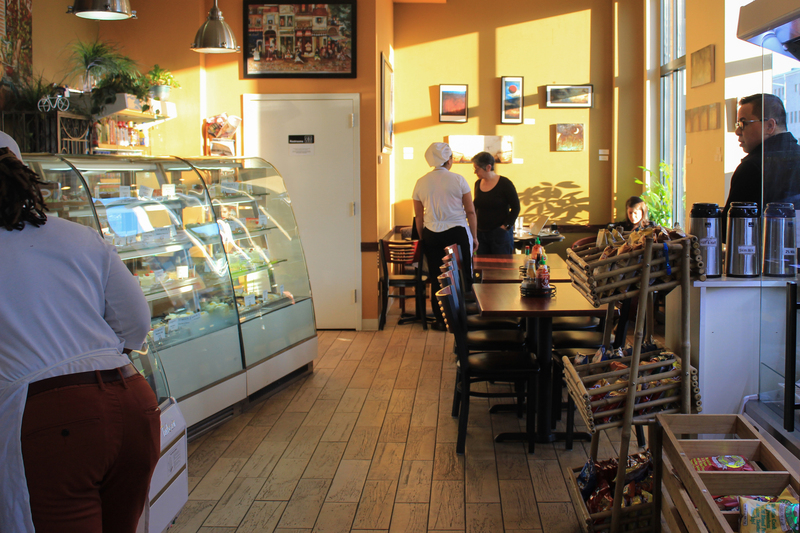 The drinks at Sidamo take center stage, but if you want a bite to eat with your caffeine fix, Sidamo offers traditional cafe treats like croissants and heartier lunch options, like sandwiches and salads. The cafe has old-style wooden floors paired with rustic brick, which gives Sidamo a cozy, old-school vibe. With the owners working right behind the counter and a handwritten chalkboard menu, you’ll feel right at home.